Edinburgh is the capital of Scotland and is a popular destination for travelers. It has an impressive, historic atmosphere with a modern twist. The symbol of the city is the castle but there are many medieval attraction to visit. There is no shortage of churches, museums, and galleries to explore. There's also an impressive night life scene which keeps young travelers entertained and coming back. Many travelers choose to stay near the train station. This train station, Waverley Railway Station, was first opened in 1846 and is an impressive sight. It's located between the city's Old and New Towns and is adjacent to Princes Street, Edinburgh Castle and the Princes Street Gardens. How much do hostels in Edinburgh cost? This is a good hostel for independent travellers, couples, and small groups of friends. 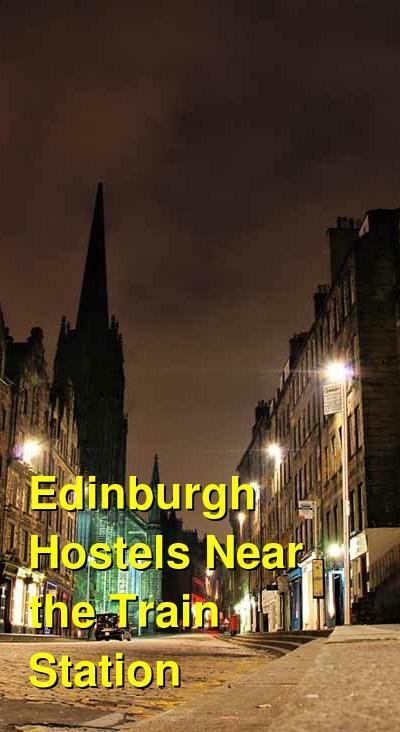 This is one of Edinburgh's original hostels and is a favorite among travelers. The rooms are affordable and it is located right in the middle of the Old Town near the Waverley Train Station. It's located in a historic 470 year old building and today it has a large common room, a full kitchen, and modern and comfortable rooms. The rooms are cleaned every day and every guest has access to a locker, and free wi-fi in the common areas. Travelers enjoy hanging out in the large lounge and there is always someone available to play pool or games with. The hostel is also located in close proximity to many shops, restaurant and pubs. Ask the staff if you have any questions about where to go and what to do. This is a good option for solo travellers, couples, and small groups of friends or families. Haggis Hostel is located in the city center of Edinburgh. It's just a short walk from many different attractions around the city and you can also reach many popular pubs and clubs on foot. The rooms are comfortable and include pine beds with mattresses and memory foam. The beds are full sized and made up with luxury bedding, making this a unique hostel experience for any travelers. Perks available to guests include hot showers, travel information, a 24 hour reception area, wi-fi throughout the hostel, and much, much more. There's a laundry service available to guests as well, which is convenient for those travelers who have been on the road for extended periods of time. A full kitchen and dining area if convenient for those who want to make their own meals and meet other travelers. The hostel offers mixed dorms as well as three family rooms. Free breakfast is available as well. This hostel is a good option for solo travellers and groups of travellers. It might be considered a party hostel. Located in the Old Town part of Edinburgh, this hostel is part of a favorite chain around Europe. 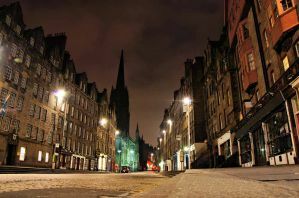 It's very near the Edinburgh Dungeons and the Waverly Bridge, and is just a short walk from Edinburgh Castle. It's also home to the popular Belushi's Bar. This is the perfect starting point for a tour around town. You can spend your day sightseeing and then enjoy one of the best parties in town at Belushi's Bar when you return back. They offer live music, DJ's, karaoke, and them parties throughout the week. They also show sports games on the televisions. Other perks available to guests include free wi-fi, free breakfast, luggage storage, live music, live sports, and much more. Food is available from the kitchen between 8 am and 10 pm. This is a good hostel for solo travellers, couples, families, and small groups. This hostel has been around since 2003 and it has become a popular option for travelers to the city. It's know for its clean and welcoming atmosphere in a small and personal setting. It's conveniently located on Edinburgh's famous Royal Mile. The prices are reasonable and it is a favorite among budget conscious travelers. Perks available to guests include hot showers throughout the day, bed linens, a full kitchen that is quipped with free tea and coffee, a full laundry facility and more. It's also near many pubs, clubs and attractions just outside the front door.